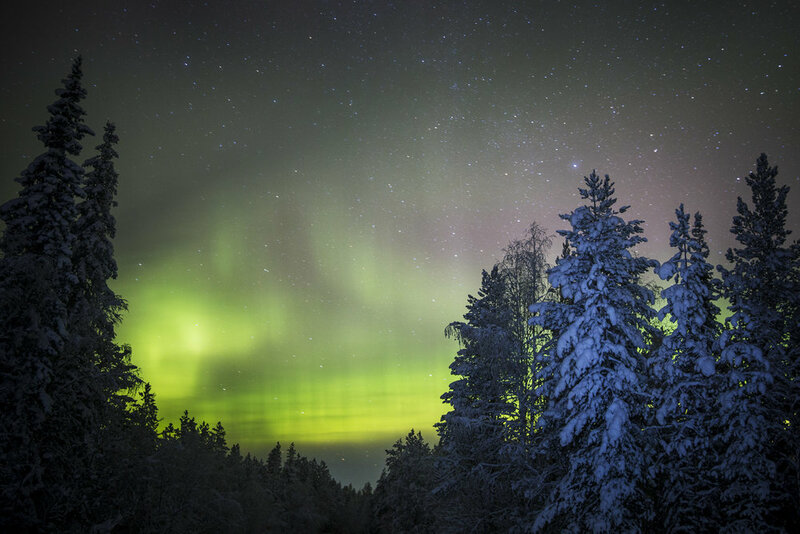 Welcome the new year away from the crowds in Swedish Lapland! Just imagine yourself standing on a frozen lake with a cup of hot chocolate while watching the Northern Lights dance in the sky above. We certainly hope so! Each evening holds an opportunity to watch for Northern lights. As long as the sky is clear we will dress warm to venture out and look upwards. Just keep in mind that since the Northern lights are a natural phenomenon, and we can never guarantee anyone to see them. However, Northern Sweden has some of the most frequent and intense auroral activity on the planet… so our chances are as good as they can get. 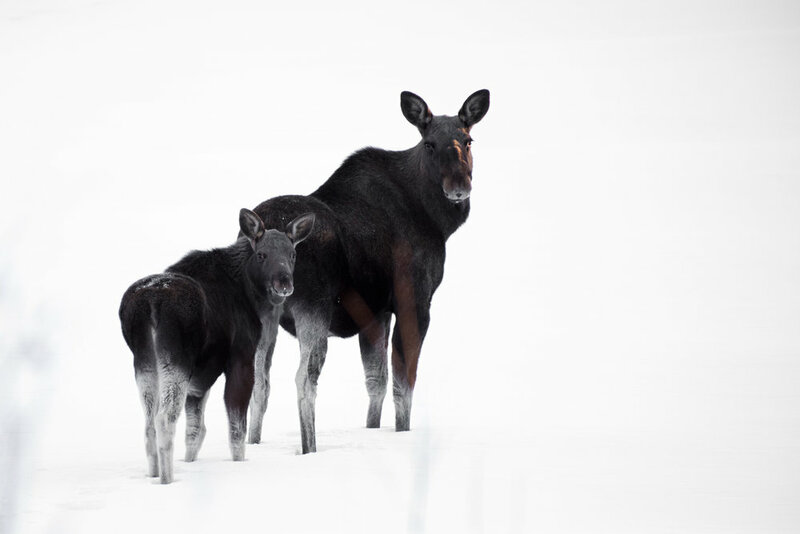 During winter, Moose and their much smaller cousins Reindeer gather in the valleys in search for food. This gives us an opportnity to get close to and photograph some of these fascinating animals in a Winter landscape. Known as Lapland, the native name of this area is actually Sápmi. The indigenous Samis inhabit the region of Sápmi, which today encompasses parts of northern Sweden, Norway, Finland and the Kola peninsula of Russia. During this tour you will meet with Sámis to learn about and get an understanding for their interesting culture and traditions. We then have a two hours drive that will take us across the Arctic circle and into the heart of Swedish Lapland. Here we reach Jokkmokk, a small northern outpost town which will act as a base for our excursions. It's surrounding area boasts amazing landscapes, ranging from mountains and frozen lakes to ancient boreal forests and streaming rivers. Jokkmokk is also home to a large Sámi community. As we arrive at our guesthouse we sit down for a proper introduction over a coffee in the dining room. On this first evening we will give you some time to arrive at your own pace. You may want to visit the Ájtte museum, a good introduction to the Sámi culture as well as to the Arctic nature. 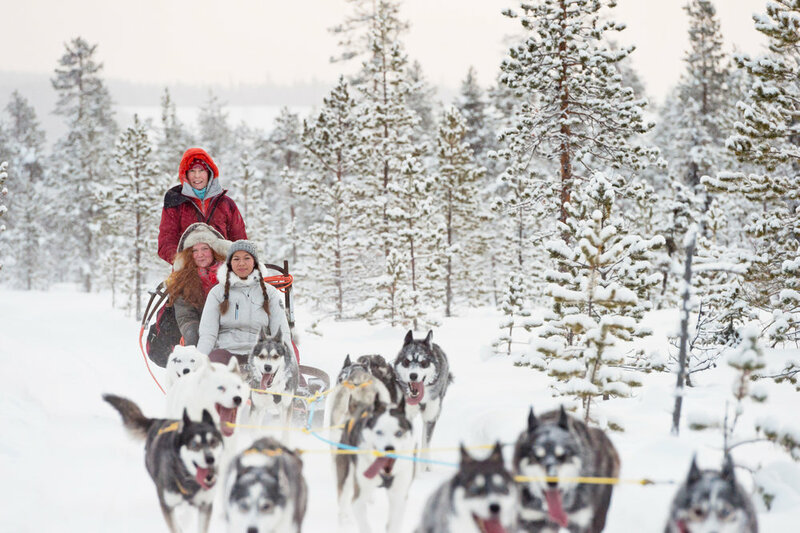 Or explore Jokkmokk town and some of the local handicraft shops on your own. Dinner at the guesthouse, and then, if the skies are clear we will definitively fill our thermoses with hot drinks and venture to watch for Northern Lights. On this day we are going dog sledding with our good friends Matti and Stina. They live in a small cabin by a lake with more than 50 huskies in their snowy garden. We greet with the dogs and then all help out to prepare a bit before we are ready to take off. In the afternoon we will meet up with our good friend Anna just outside Jokkmokk. 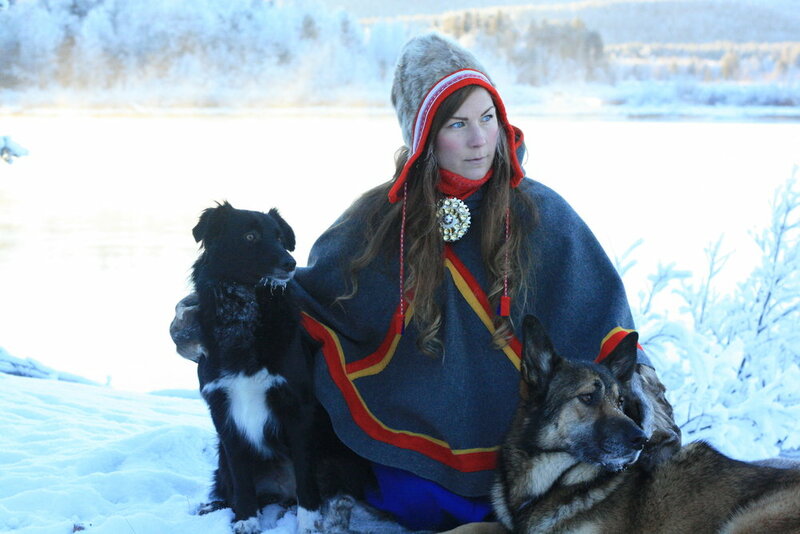 Anna and her family are Sámi and reindeer herders. She has invited us for an evening meal in her lávvu (traditional tent). With a native perspective Anna has a lot to share. We sit on skins on the floor and try some traditional Sami dishes that are prepared over the camp fire. Northern Lights watching in the late evening if the skies are clear. 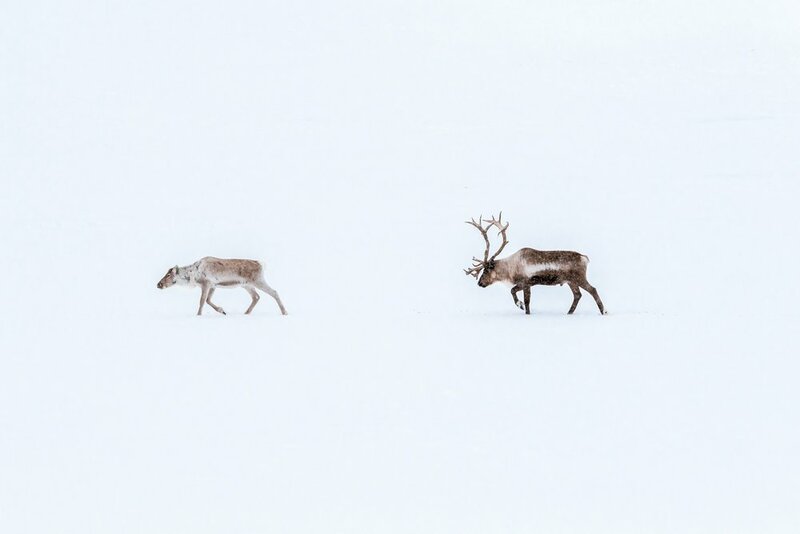 On this day we would like to drive through a nearby valley which is known to host some of Europe´s largest moose, but also big amounts of reindeer. This provides a great opportunity to view and photograph these majestic animals with the snowy landscape as a backdrop. We stop for an outdoor lunch somewhere along the shore of a lake. If the weather is fair we spend the whole afternoon out in the snowy valley before we return to Jokkmokk for a well deserved dinner and hot drinks. In the evening you will have another chance for Northern lights. Fill up your thermos and bring some snacks to stay warm and happy. We leave Jokkmokk behind and drive to Snesudden where we will stay for two nights. Thierry & Maëlle moved to Sweden and they have now built a very neat little nature camp with four wooden cabins. This is a great basecamp in the middle of nature. Thierry & Maëlle both have a great interest in the conservation of the wild and how we can live in harmony with nature. We are very happy that they lets us celebrate New Year at their brand new camp! During the evening we will enjoy a festive New Year dinner by the wood stove in a small wooden cabin. We take turns to go outside and watch for the Northern lights that will hopefully be dancing in the sky above the camp. You will then sleep comfortably in one of the cabins. Wake up in your cabin and enjoy a hearty breakfast. On this day you will have the chance to explore the surrounding forests on snowshoes. Search for animal tracks and experience different types of snow. You can also walk on foot, or just relax at the camp with a good book. We will have lunch in a tent and dinner at the camp. We enjoy another slow breakfast in the cabin before we say our good bye's to Thierry & Maëlle and begin our journey back to civilisation. Time has come to leave Sápmi and Lapland for this time. We will take you to Luleå for your afternoon train or flight. Would you like to stay some extra days? You can always book a few extra nights in Luleå. We can recommend a good place. Or we can drop you at the famous Tree Hotel in Harads which is along the way to Luleå. 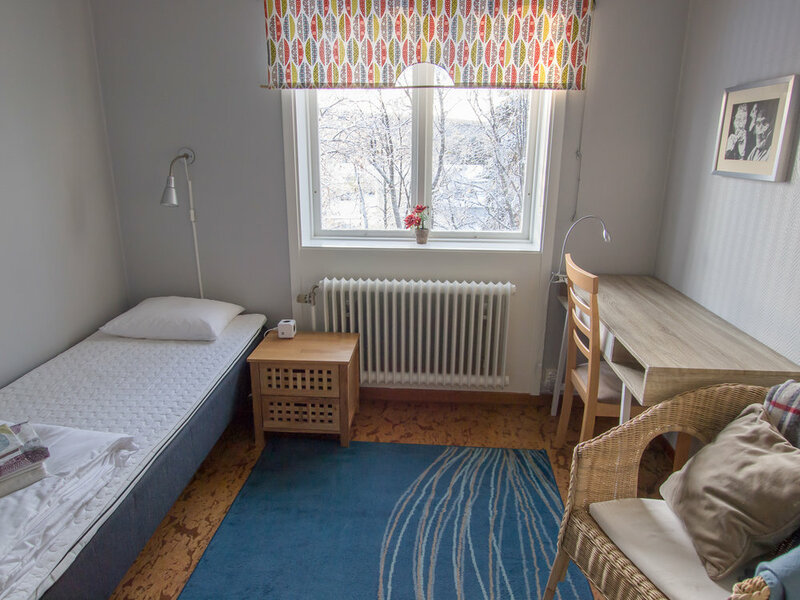 Single room supplement 750 SEK for the three nights at the guesthouse. Note that you may still have to share cabin with another person. Beverages are paid at each restaurant. Three nights at Jokkmokk guesthouse. Choose between single, double, twin or family room. The rooms are basic but comfortable and clean with bathrooms in the corridor. These bathrooms can be used by all guests, but you can lock the door from the inside when you use it. There is also a shared sauna. This homely guesthouse was built as a home for the local hunt master nearly 100 years ago. Two nights in wooden cabins out in the wild. The idea with the camp is a mix of wellness, downsizing and adventure. There is no electricity or running water. The camp consists of four guest cabins, two wood heated saunas equipped with a rustic showers, two dry-toilets and one common house. Each guest cabin has a double/twin bed for two persons. If you are traveling solo you can choose to have your own cabin. If you are traveling as a family or group of friends two more persons can sleep on a sofa-bed. You are welcome to spend time in the common house whenever you want, to play games, enjoy a warm drink, read or just relax. Meals will be served in the common house. In each cabin, there is a wood-stove that you have to manage yourself. But we will of course help you out if you need. Don’t worry, generally our guests are even too hot. The cabins is lit up by candles. Some of the buildings are also equipped with dynamo lights. Recommended minimum age is 10 years. Participants should be able to walk in uneven terrain without difficulties. Walking level is easy/medium. You don't have to ski or snowshoe, that is just an optional activity on one of the days. We meet up in Luleå at 11am on day 1. On the last day of the tour you can take a flight or train at any time after 15:30, since we will in Luleå at 14:30 at the latest.